Pinch me! We spent our shelling vacation in Thailand! Yes… Thailand! I think if you started digging a hole on the beach of Sanibel and continued through the earth, you’d end up on a beach in Thailand…the other side of the planet. We spent most of our beach time on the south end of Phuket, Thailand in an area called Rawaii. We, of course, couldn’t wait to scour the beaches to see what kind of shells were there! We took one of those beautiful longtail boats out to Bon Island and Coral Island. Now I know why they call it Coral Island. Wow! So much beautiful coral. ..with a few gorgeous shells mixed in. Well…ahem… more than just a few gorgeous shells. I found lots of them! But once again, Super Sheller Clark found CONES! Oh no. I’m crashing with jet lag again (30 hours of traveling with 2 hours sleep…did I mention an 11 hour time difference?). I’ve got to take this in short spurts for a few days to get caught up with sleep, mail, phone calls, work, laundry and cuddling with the kitties ;). We have a clear winner! Holly Barth Giehler! OMG Holly, you had it pinned! The photo of the cones was taken about 10 minutes away from that hotel (the Phulay Bay Ritz Carlton) where they filmed that movie! Congrats! I’ll send you a few shells that we brought home! But wait, getting back to the “Hangover 2” movie, of course we had to go have a drink to check it out. Next up…. more Thailand shelling in Phuket and then on to Krabi! And I’m going to try to identify some of these cool shells too so you can see them up close and personal. CLICK HERE to see more of Thailand! welcome back and thanks so much for the continuing inspiration and beauty. can’t wait for the next installments. Welcome Back. Captain Brain was great. Can’t wait to hear and see more details!! Thailand!! How fantastic!! Love your pics and can’t wait to see and hear all about it! Oh wow – what a trip. It looks beautiful. SO happy you had a good time and Brian did a wonderful job covering for you. Thanks Pam! I thought that looked familiar! As we watched the movie, “Hangover 2”, I told my husband that “I WANT to go there” – in my dreams. :) Shortly after, I found out that’s where my friend was. She sent me a link to her on-line photo album – just beautiful. She thinks the resort was the Ritz Carlton, was it? Thank you for offering me some of your beautiful shells, but if those were mine I couldn’t part with them. I’m definitely looking forward to seeing more pictures though – the pictures you get are beautiful. Glad you had a great time. Ohhhh, Shellin’ Sistah Pam, you lucky girl! How fabulous! What no condos, just all those gorgeous shells??!! I just told my guy, “I want to go there” too! (boo hoo) I’m green. You must be shell shocked as well as jet lagged. Were those pics taken with your new camera? They are awesome. Captain Brian did a great job in your absence. Thank you both for keeping me inspired. Looks like you had a great vacation! It looks beautiful there. Always fun to find shells at different locations around the world! Thanks for sharing your beautiful pictures! Thanks for all the photos! really enjoyed looking at them! Oh Pam it looks so incredibly gorgeous! So exotic! It must had been so much fun finding all completely new kinds of shells, but I bet you could tell which family most of them belonged to. Did you ask people where to go for shells, or did you just wing it? Did you look on Google Earth to find promising beaches? Glad you had such a nice trip. So pretty! Some of the little shells look like candy – good enough to eat. Did you have the beach pretty much to yourself? OMG!!!! How wonderful for you and Clark and us too. It looks like you had a blast. Can’t wait to hear about your accomodations, the food, the people and of course your shelling. Weather wise is it a good time to go? Rest up as I efel free to say we are all waiting to see your goodies and hear the names. So happy that you and Clark were able not only to get away together, but to go to such an exotic place AND there were shells to boot! Sounds like a perfect trifecta! (Sorry, got horse racing on the brain, lol) Can’t wait to hear more! 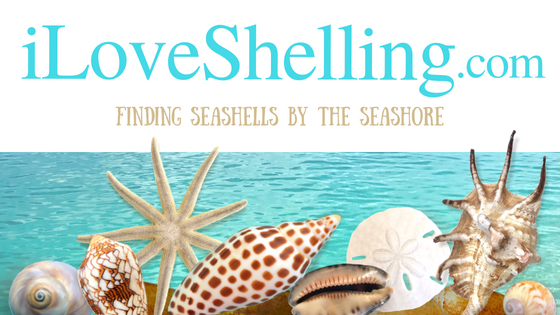 Your shells look as exotic as the location you found them in! P.S. Love those bitty sand dollars…they are so cute! Wait a minuite – I haven’t even gotten to Sanibel and now I have to go to Thialand?? It is a small world I have a lot of same shells in my collection from West Coast to Mexico. I do love that rimmed sand dollar, never have seen one like that. NAME?? As always you make my day each time I open your emails. i guessed thailand too, and i have been to the exact some spot at Rawai, its gorgeous, when they said “Coral Island” they werent kidding, the longtail boat drops you off on this little island the coral starts in about six inches of water and just keeps getting better and better, there were giant clams, tridacnas, and all kinds of cool marine life. pam did you go to the seashell museum in phuket? its spectacular. the owners are very enthusiastic and knowledgable shell nuts too! Glad you guys are back safe and sound. I cant wait to hear all the stories…Know you will have them!! happy you got the new camera!! knew it!!! hey pam would you consider leading a shelling trip to thailand??? i would sign up right now!!! I found your site when I was looking through internet resources to identify shells I was finding here in Louisiana and I’m digging your blog. I don’t understand how you find the time to keep it so well updated, but I’m glad you do. I’m visiting Pensacola this weekend and can’t wait to go shelling out in Florida. Steve, Yes! We went to the shell museum and it is FANTASTIC! I think I’m going to do a whole post about it. We went 2 days in a row to Coral Island is was so cool. One day in a speed boat and the other in a longtail. Loved both trips! latenight, I wish I could find the name of those sand dollars just to differentiate from ours but can’t find it in any of my books. Darn! I LOVE those little guys! I’ll show more pics of them- we found them just about every beach we went to- so lucky! Well, I didn’t take the new camera since I decided to take it back. I just couldn’t deal with right now and it was a little expensive right when we were going on this big trip. I have been trying to organize my photos to write another post… I have soooo many photos and soooo much I want to share. I have been trying to research some of the shells that we found but it isn’t as easy as I thought- even those cones are a bear to identify! BUT… MurexKen has volunteered to help me YIPPEE!! so I’m feeling a little less anxious about it. I don’t want to repeat anything and I surely don’t want to bore anybody by showing the same things twice once I figure out what the shell is. Susan H- I did TONS of research before I went to try to find beaches that had shells. As you can imagine I spent days (weeks!) on end trying to figure out our route. I surely didn’t find that much to make it an easy feat. We didn’t see any other shellers on the beaches any where we went so it’s not a big hobby to the other side of the world- good because we didn’t have any competition…. bad because we couldn’t show off any of our shells to anybody else when we found them- that makes it that much more enjoyable, right? Judy Jubb- I’m not sure I’m cut out to be a shelling trip organizer.. but thank you for the thought! If I decide to try it, you’ll be the first to know. And just to let you y’all know, it was a very difficult decision not to announce here on my blog that we were going on such a big trip. We had a friend staying in the house while we were gone but it just seemed a little weird to me to put that type info out there. I know it could have been so much fun for the buildup and probably gotten more help with finding beaches but …. well I’m sure y’all can understand. Way cool. Snorkeling, especially – my favorite activity in the whole world!!!! (Next to shelling, of course). We’ve been here almost 2 wks working on our new little home (Sanibel) and have only been to the beach once….what a shame….I can hardly wait until THIS project is done! Glad you guys had a great get-a-way. Welcome back Pam & Clark! Brian did a great job! Can’t wait to read more about your trip. …rest up then bring it on! The pink cowries are those that have an eroded shell. oh, by the way, maybe you might want to check out this blog. It kind of catalogues the different Indo-Pacific shells. Oh Joash- you are a doll!! I know how much time that took you to research and get all that written! I can’t thank you enough- really. You will laugh at my next post since I am just doing “categories” since the i.d.s have been tedious so I will go back later and use all of the identification information to wrap things up. And thank you for the link as well- it will be a great cross reference since I am so visual – I still don’t know (and not sure I ever will) the scientific names.